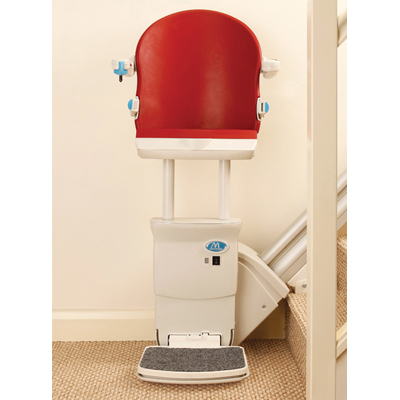 If you have restricted movement in the knee or hip joints and can find sitting painful, a perch seat may be the best solution for you! 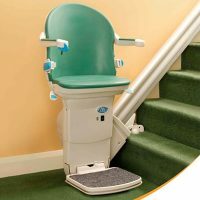 A Perch seat means that the user is almost in standing position when using the lift. 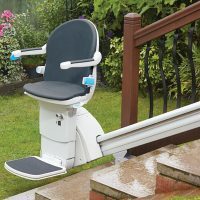 There is a shortened (and retractable seat belt) which provides a stable support area for users to ‘perch’ on. 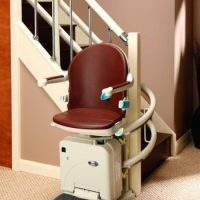 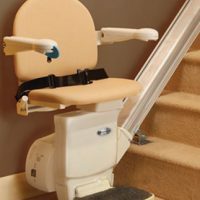 Perch seats are available on the Simplicity Plus, Handicare 1000 and 2000 lifts.